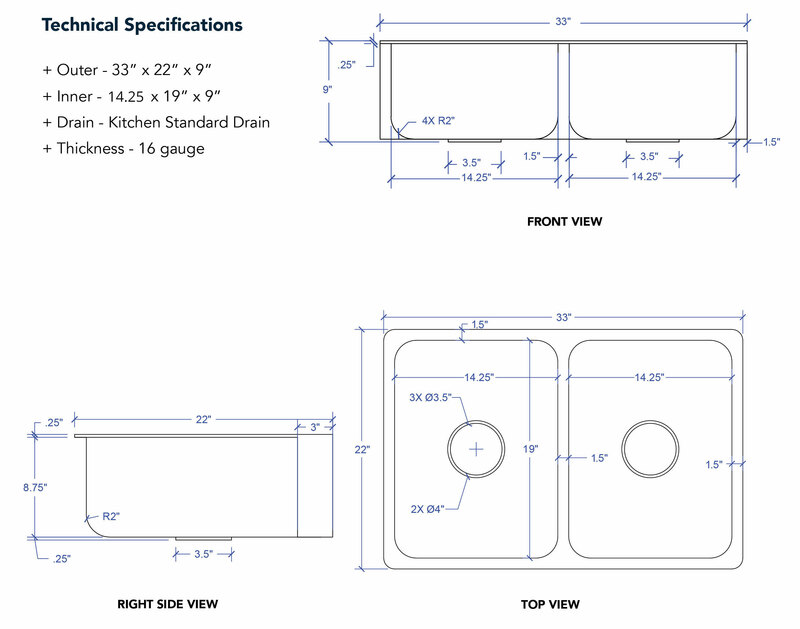 Drain: standard kitchen sink drain. apron wraps approx. 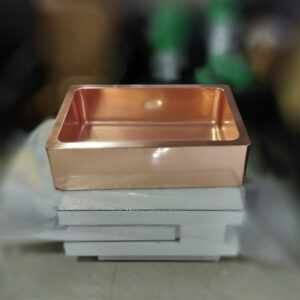 2.5” each side. 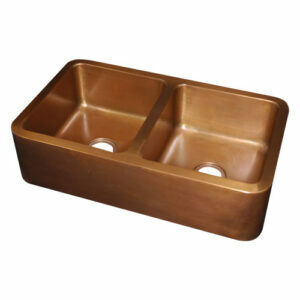 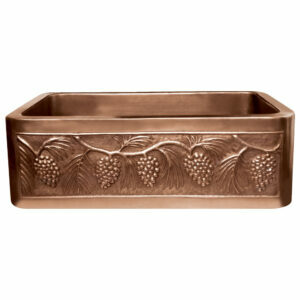 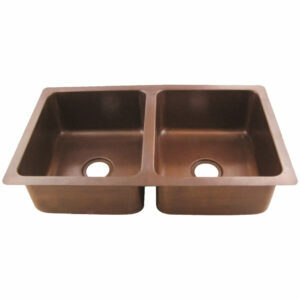 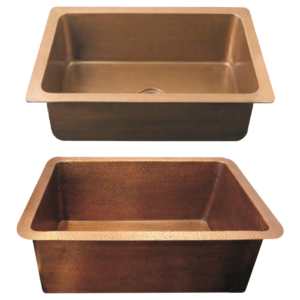 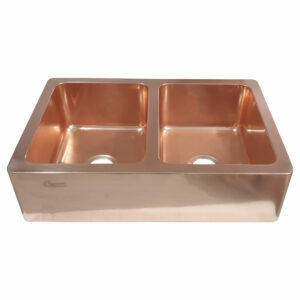 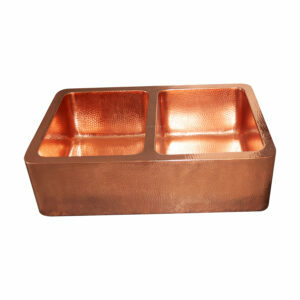 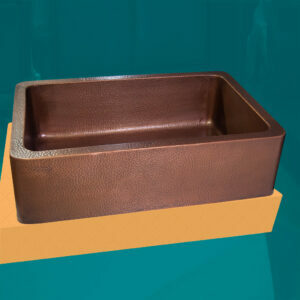 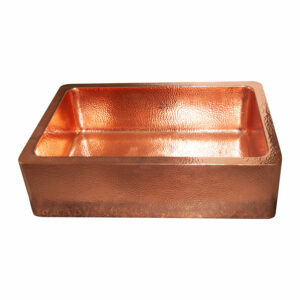 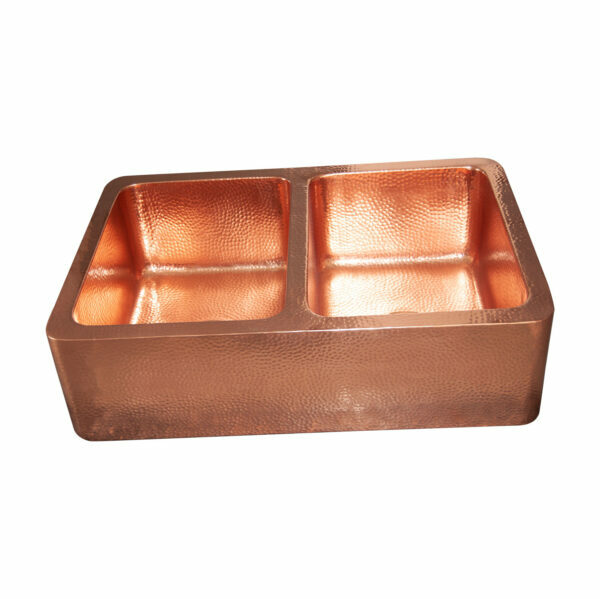 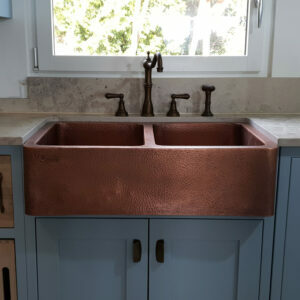 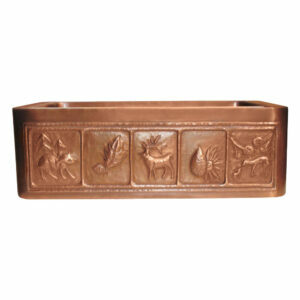 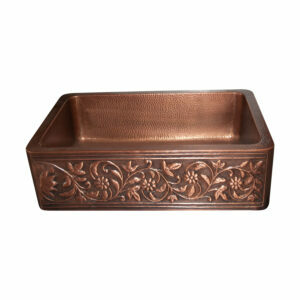 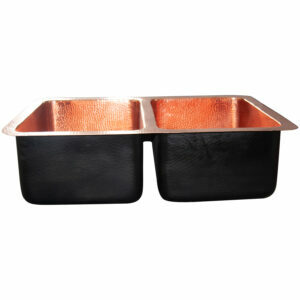 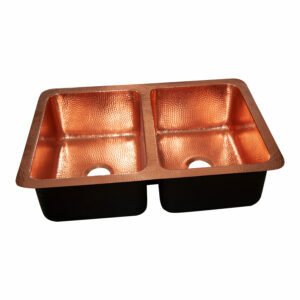 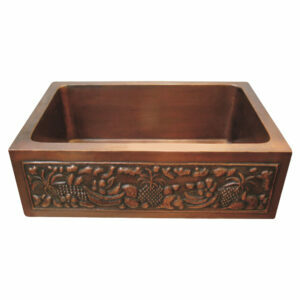 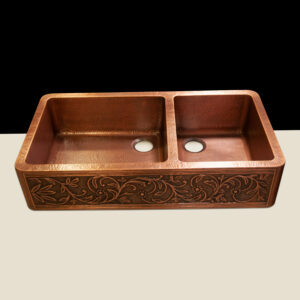 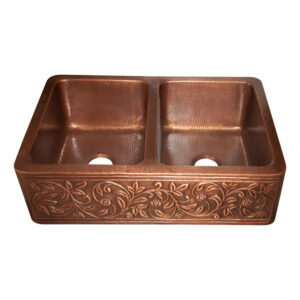 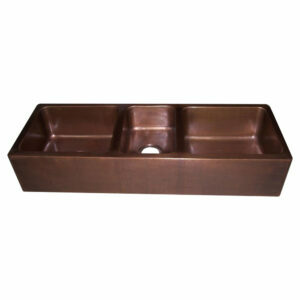 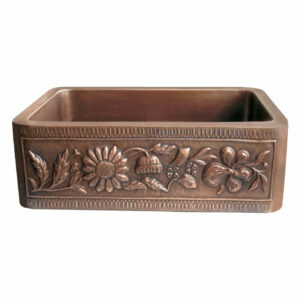 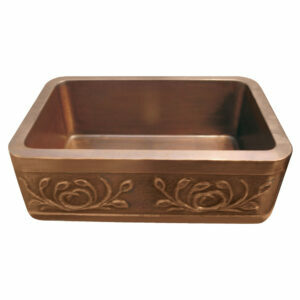 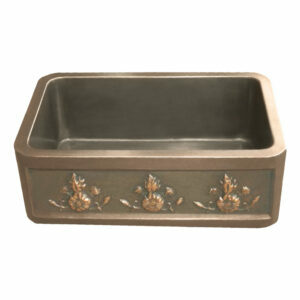 Double Bowl Copper Kitchen Sink Front Apron Hammered Shining Copper Finish is a handmade farmhouse copper kitchen sink that brings to your kitchen the rich properties of copper aside from the aesthetic value that it adds to the spaces.